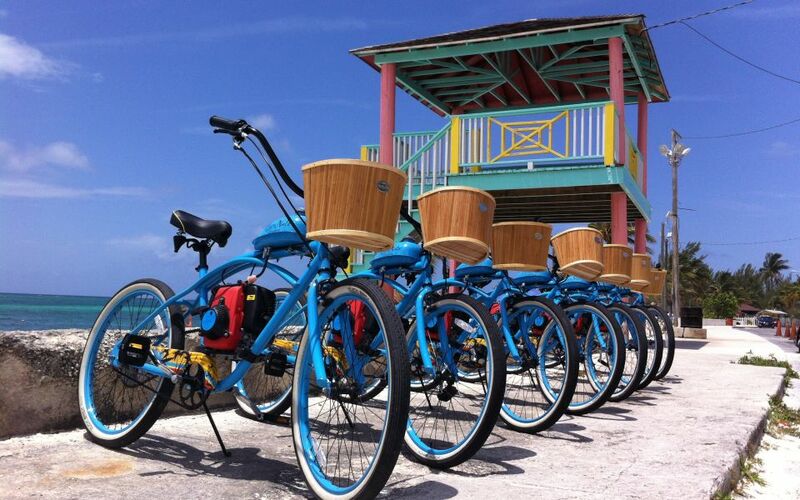 If relaxation is your forte, then a Grand Bahama Island vacation is your calling. Pelican Bay Hotel is ideally situated within easy access of white-sand beaches, lush boulevards, beautiful seascapes and the charming Port Lucayan Marketplace. Looking for adventure? Choose from a wide variety of fun-filled watersports. Want to keep dry but still have some fun? Head to the fairways at the nearby Lucaya golf course or make a date with Lady Luck at the Treasure Bay Casino. There are endless things to do on Grand Bahama Island and Pelican Bay is the perfect vantage point for experiencing it all. Located on the Port Lucaya Marina, UNEXSO offers an exciting assortment of diving and dolphin experiences. The most popular are our dolphin swims, where you are invited to swim and interact with these friendly, intelligent creatures in a protected lagoon. Considered the shopping Mecca of Freeport, the Port Lucaya Marketplace offers eighty specialty stores, boutiques, restaurants, outdoor and indoor bars and cafes across 12 island-style buildings. Hunt for Bahamian-made handicrafts alongside designer labels, jewelry and more. The Marketplace is also home to casual and fine dining eateries, live music and entertainment. Immediately across the street are two miles of white sand beach, home to towering tropical palm trees and amazing sunsets. Experience a variety of watersports here, including scuba diving, windsurfing, parasailing and snorkeling. Also, just a 25-minute car ride away, Gold Rock Creek Beach has been consistently rated as one of the top beaches in the world. You might recognize the beach from such films as Pirates of the Caribbean II and Pirates of the Caribbean III. Special excursions can be arranged by Guest Services. Try your luck on your Bahamas vacation at our Vegas-style casino, featuring game-playing action 24 hours a day in over 35,000 square feet of playing space, with 400 slot machines and 30 gaming tables for craps, blackjack, roulette, three-card stud poker and mini-baccarat. Welcome to Grand Bahama’s premier nature experience! Garden of the Groves invites you to explore winding trails through lush vegetation, breathtaking waterfalls and sparkling fountains. See the beautiful chapel, which is a beloved place for weddings, prayer and meditation. The revitalized Freeport area features Junkanoo festivals every year, shopping venues, cinemas and various businesses. Lucayan National Park is a 40-acre Grand Bahama treasure known for its underwater cave system, one of the longest in the world. Two of the caves, Ben's Cave and Burial Mound Cave, are accessible via a short footpath. In 1986, bones of the island's earliest inhabitans were found in the Burial Mound Cave. The park is also unique because it is home to all six of the Bahamas' vegetation zones. Check out our Calendar of Events to see what’s happening onsite or nearby!